A simple fix to a painful problem. Sometimes we overdo it, resulting in injuries like plantar fasciitis, shin splints, and other foot conditions, but relief is in sight with the podiatrist-designed orthotics from our friends at Powerstep. They have a wide variety of shoe inserts, but we tested the Pinnacle Maxx and found the firmer shell and deep, angled heel platform cradled our feet and provided the support needed to alleviate the excruciating pain. In addition to the semi-rigid shell that provides excellent arch support, the two layers of durable EVA foam material surrounding the shell are soft and cushioning, while the plush foam top brings further padding, comfort, and anti-microbial benefits. 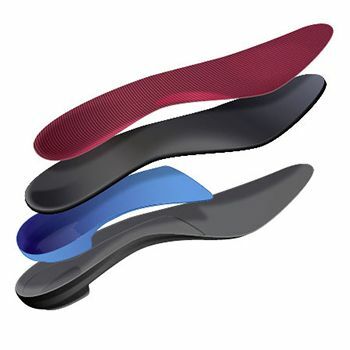 This is a full length insole that works well in both athletic and casual shoes and can easily be trimmed for an exact fit. For comfort to the max, choose Powerstep Pinnacle Maxx!